The former American astronaut Buzz Aldrin, the second man to step on the Moon, who was hospitalized in New Zealand after an emergency evacuation from the South Pole after he didn’t feel good, published on Saturday, photos showing that he is in a good condition. Aldrin, who is 86 years old, was in Antarctica with a touristic group and was transported by air to Christchurch because his health had deteriorated, informs Reuters. The former astronaut has liquid in his lungs, but responds well to the treatment with antibiotics and is in a stable condition, according to his official website. 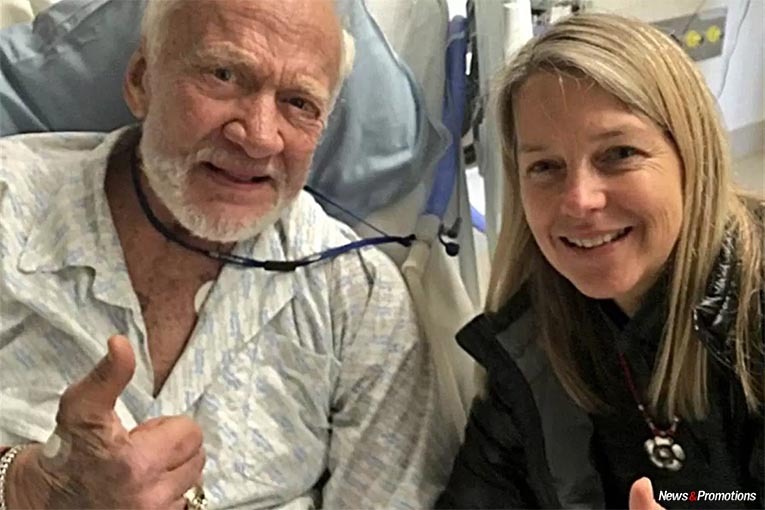 Aldrin seemed to have a good mood, on Saturday, when he received, at the hospital in Christchurch, the visit by the deputy administrator of NASA, Dava Newman. 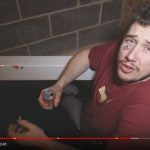 ‘I had a surprise visitor this morning. My longtime friend @DavaExplorer @NASA Dep Administrator. She beat me to the South Pole by one day,’ wrote Buzz Aldrin on Twitter. In the pictures taken into the hospital, Aldrin appears showing a sign by which he confirms that everything is fine. His manager, Christina Korp, who accompanied him in Antarctica, published on Thursday photos with Buzz Aldrin stepping onto the frozen soil at the South Pole. Aldrin’s real name is Edwin Eugene Aldrin. He graduated the West Point Academy and he is an MIT doctor. He was a military pilot during the war from Korea, flying in 66 missions, before enrolling into the spatial program of NASA. In 1966, he joined James A. Lovell Jr. in the Gemini 12 flight which lasted 4 days. This out of space ‘visit’ of Aldrin, of 5 hours and a half, proved that the human organism can work in the void from the cosmic space. On July 20, 1969, he stepped on the Moon, in a historic moment, about 20 minutes after Neil Armstrong, during the monthly mission Apollo 11.